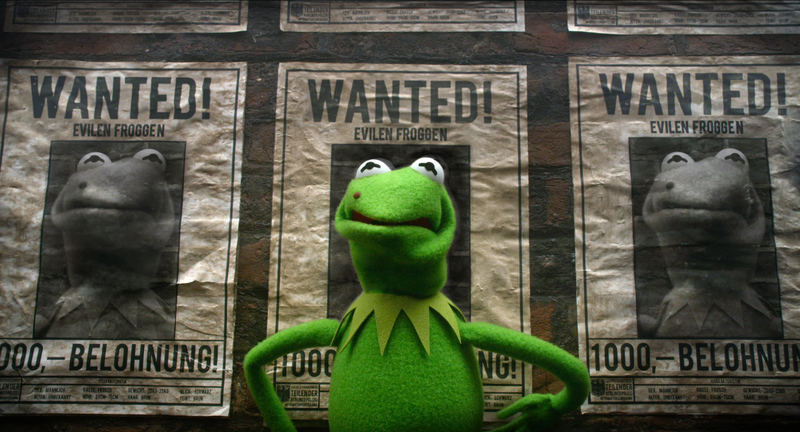 Quickfire Review: Muppets Most Wanted (2014) – Hooray For Movies!! The 2011 Muppet Movie was a surprising reboot for a much loved franchise that had been languishing for the 15 or so years since Muppet Christmas Carol . While the Muppets themselves were always the stars of the show, they were only as strong as the human characters they were placed in the company of. In Jason Seagal they found the perfect fanboy with the right blend of puppy dog eyes and comic timing to be the emotional anchor to the Muppets’ shenanigans. Plus the classic “get the old gang back together to play one last show to save the theatre/old people’s home/old people’s theatre” trope worked well but left them with a difficult follow up once the inevitable sequel was put into motion. That sequel comes in the form of Muppets Most Wanted, a fun romp with big nods to the classic ensemble screw ball comedies of the 60’s, which even if it doesn’t quite hit the emotional heights of it’s predecessor, still scores enough big laughs and clever musical numbers to push through. Picking up literally where the first one finished The Muppets waste no time in launching into a big opening number about the perils of sequels that makes the 22 Jump Street self referential jokes seem deftly subtle. Now at a loss for how to build on the public’s reignited love affair with The Muppets they turn to Ricky Gervais’s Tour Manager/deadpan catburglar Dominic Badguy. Having busted notorious uber-criminal, Kermit doppelgänger and all round bad amphibian Constantine out of the Gulag, Badguy sees an opportunity to use the Muppets World Tour as a cover to boost some of the World’s most priceless artifacts. In return Kermit must face time in the Gulag, framed as Constantine by virtue of a stick on mole, while the gang can’t seem to tell they have a much bigger mole in their midst by virtue of Constantine posing as their squeaky voiced leader Kermit. As the Muppets bounce around Europe on a crowd pleasing tour they are chased at every turn by bumbling French Interpol agent Jean-Pierre Napoleon (Ty Burrell in full Peter Sellars mode) determined to catch whoever is stealing the artifacts, in spite of his being hampered by 4 hour working days, 6 hour lunches and 8 weeks paid vacation. Meanwhile in the Gulag Tina Fey brings the funny as the hard faced Governor who just wants to put on a memorable Gulag Review. Sequels are hard. Particularly if the first relied on a certain amount of surprise. And at times it feels like Muppets Most Wanted relies on seemingly never ending slew of celebrity cameos to fill in the gaps where the emotional resonance was in the first. To its credit though it is the most impressive cameo list since The Player. And at the end of the day, I laughed out loud more than enough to compensate for it’s faults.